Microsoft’s collaboration-based productivity platform, Microsoft Teams, is set to receive some notable new features to mark the completion of its first year in the market. Through an official blog post, Microsoft has announced that Cortana integration, cloud recording, and inline message translation are among the new features that will arrive on Teams in 2018’s second quarter. Aside from software upgrades, Microsoft has also added support for a wide array of hardware systems in Teams such as Microsoft Surface Hub, desk and conference phones, mobile phone stations, etc. from various brands. Cortana integration in Teams will allow users to summon the virtual assistant and make calls, join a meeting and add new members to the meeting with their Teams-enabled devices. Cortana integration will subsequently be rolled out to IP phones and conference room devices too. The message translation feature will translate messages in a channel or chat in real time for Microsoft Teams users. This feature will allow Microsoft Teams users to blur the background of their video feed during a video call. 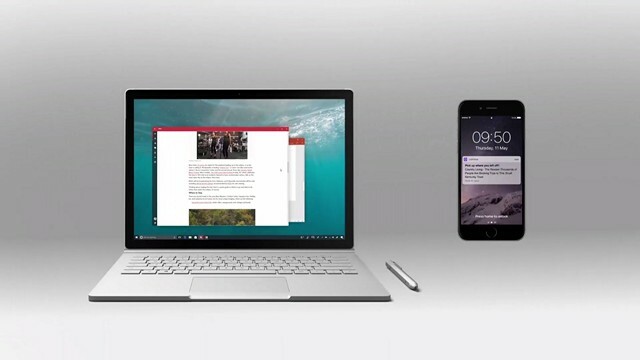 Microsoft Teams users will soon be able to use the mobile sharing feature to share the screen of their smartphones, photos and live video streams with other members of a group. This feature will ‘provide one-click meeting recordings with automatic transcription and timecoding, enabling all team members the ability to read captions, search within the conversation, and playback all or part of the meeting.’ Moreover, the cloud recording functionality will also get support for facial recognition. Aside from the aforesaid features, a Proximity Detection tool for Teams Meetings will also be released soon, and it will allow users to easily ‘discover and add a nearby Skype Room System to any meeting.’ Microsoft has also introduced a new feature called Direct Routing that will allow users to link their existing telephony systems with Teams to make calls. Moreover, enterprise-grade calling tools like ‘consultative transfer and call delegation and federation’ for Teams have also been announced.